Previously, I mentioned that no business and no Chiropractor has a new customer/patient problem. In other words, if a Chiropractor desperately needs more new patients, that Doctor has bigger problems. Lack of enough new patients indicates the presence of several bigger problems—not just one. It’s just like if you see a cockroach, then you better believe that there is more than just one. Keep looking! Not having enough patients is simply an INDICATOR that many aspects of your practice must be addressed. Why you are selling it. Who you are selling it to. How you are selling it. How much you are selling it for. What it’s like to experience the entire process. Do patients really want it or do you have to convince them through “education”, sales tricks, and overcoming objections? This is a problem. Is what you are selling confusing? Hard to explain? Hard for others to explain to their spouses, friends, co-workers? Is what you are selling congruent with what the market ALREADY wants? This is a big one. Are you selling products, services, and treatment plans merely because insurance pays for it? No? Are you sure? Are you selling what you are passionate about? Be careful with that. Chances are, nobody cares. Are you selling what can make you the most money? That’s typically a referral and lifetime value killer and a great way to increase expenses and stress. Who are you selling to. Do you know who your perfect patient is? Because if you think that everyone needs your care, virtually everything you do and say will be ineffective. Listen, it doesn’t matter what you think or know. What matters is who you are selling to. Are they the most likely person to call you TODAY? Are you chasing strangers and ignoring your current and past patients? Big mistake. You already spent a lot of time and money on your patients. Ignoring them will keep you in the patient replacement business. Do I ignore you? Most of my members have not only have been members for a very long time, but most had been communicated with daily for many months (or years) before they became a member in the first place. And if you don’t love the word “selling”, you are not alone. It’s not my favorite word either. Offering value to the greatest amount of people before, during, and after the sale is the best “selling” there is. Do that. That’s what ChiroTrust does to and for Chiropractors. If you are targeting strangers, have you tweaked your message to be condition specific? You better be. If not, you are wasting money. How are you selling it? Are you running Facebook ads that you bought off a webinar? Internet marketing makes most doctors look unprofessional and desperate. Again, if you think that you have to play in the “social media” space, you most likely have bigger problems. Still offering “free exams”? Don’t give anything away for free. Maybe a consultation but that’s it. Never de-value you, your product, your services, or Chiropractic. Do you have to physically be there? Do things that are scalable. If your marketing requires you to be somewhere, like a spinal screening, networking, or a lecture, then you are not leveraging yourself like you can and should. Is your first visit expensive? Sure, insurance might cover it but what is more lucrative is establishing a fee that attracts the greatest amount of people. Is your adjustment fee the right fee for your area? Not too high? Not too low? Are you selling care plans? In other words, are you selling the entire treatment plan in advance for a discount to get patients to commit? If so, you are unnecessarily creating problems down the road. Sell per visit, get paid per visit. What is it like to experience the entire process? Everything your community and patients experience matters. Is it easy to consume? Is it enjoyable? Does it make sense? Is it necessary? Is it believable? Is it honest? Is it positive, uplifting, nurturing? Do things run smoothly in your office? Is the energy calm? Do you and your staff appear completely confident and in control? Do you already appear successful even if you are not entirely there yet? Because if not, you will never get there. Your overhead shouldn’t be high. You shouldn’t have a “new patient” problem. 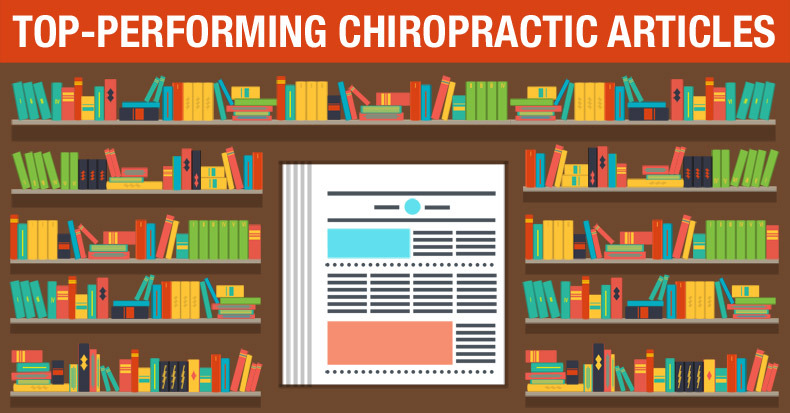 ChiroTrust has the marketing done for you, and the support that you need to succeed. All that YOU need to do is take advantage of it. School is NEVER OUT for the pro!